Fellow Hobbyists: Forwarded for you consideration as requested – It's great to have this show de-conflicted with the PME Coast Guard show that was such a success last Saturday. For details go to the www.vpccc.org web site as usual. VPCCC delegates please pass to your memberships. Thanks Colin – And Good Luck!!!!!!!!!!!! Can you send this press release about the Lee Hall show out to the membership? August 11, 2012: 11th Annual Car Show at Lee Hall. 10:00am-3:00pm. Join in the fun of this automotive extravaganza. Experience the sights and sounds of elegant autos from yesteryear to the technologically advanced super cars of today. The show is open to all makes, models and years of vehicles. See a special Race & Pace Car display. Racer and author Gordon White will talk about Midget racing and author Colin Romanick will be selling and signing copies of his new book Muscle Cars. The first 100 registered vehicles receive goody bags and dash plaques. Vehicle registration is $20.00 per vehicle and registration begins at 9:00am. Participant's Choice judging will result in over 30 awards. The award presentation will take place at 2:30pm. Spectator parking and admission is free. Vendors will have food, drinks and more throughout the day. Everyone can take part in discounted mansion tours, door prizes, a 50/50 drawing and more. Children can participate in car related games. The event is Rain or Shine! This event is fun for the whole family. 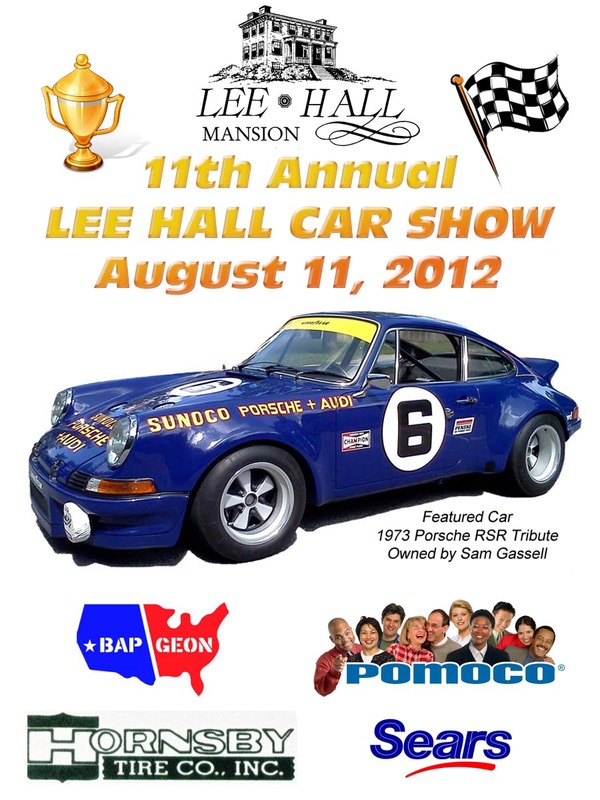 The proceeds from this event benefit the continued restoration of Lee Hall Mansion. This event is sponsored by the City of Newport News. Please call Colin Romanick at (757) 247-8523, aromanick@nngov.com or Clay Drnec at (804) 824-9198 for registration and event information. 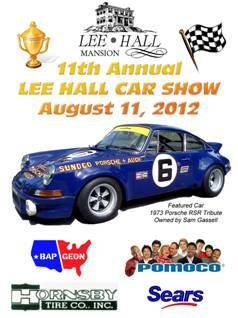 You can visit our web site at Lee Hall Car Show.